Indeed, contact us about anything but please read the info below first. We refer around 90% of contact enquiries to the Karaoke Forum! This is because everything we know about karaoke is already on this website. Therefore, for most enquiries about karaoke, make good use of our message boards. So, before you contact us, please ensure you read the following information. Firstly, we are a friendly bunch here at the Karaoke Shack. Thus, you can get in touch with us about anything concerning our website by using the form above. Obviously, if you find a problem with our website we would love to know so that we can correct things. Should you not receive a reply within 48 hours or find other difficulties contacting us, then we have a solution. In essence, you can easily join our Karaoke Forum and leave a message there. Secondly, please ensure you have searched the site before you contact us and read the information below. Moreover, we will ignore all correspondence if the information you require is already on site. Also, we can’t reply to correspondence that is about illegal subjects. 01) Karaoke Song Books – obviously you can download them via the blue link from your confirmation email. Indeed, they will be as a blue download link in your checkout pages for 4 days too. However, if you have a problem, let us know your email address as we can send them as an attachment. Just to point out that we have a page explaining ‘How The Downloads Work‘. 02) We don’t sell karaoke discs or tracks so please don’t ask. We also can’t help you to ‘find a particular song or disc’. However, if you want to buy karaoke that you can’t get hold of elsewhere, use our Karaoke Forum Classifieds. 03) Of course, the Karaoke Shack has a massive Karaoke Directory and you can view all our song books online. Therefore, individual karaoke tracks and discs are searchable using the search box on most pages. Since we are an information only website, all we know is online. However, feel free to help us update any information. As previously noted, we have a massive Karaoke Forum. Therefore, we now invite you over there and introduce yourself. In fact, bookmark us, come back often and post regularly. Obviously, we have many forum categories. In fact, we have a karaoke news section right through to an off topic lounge for anything and anyone! Since all information on the Karaoke Shack comes from the members, feel free to post enquiries in the forum. 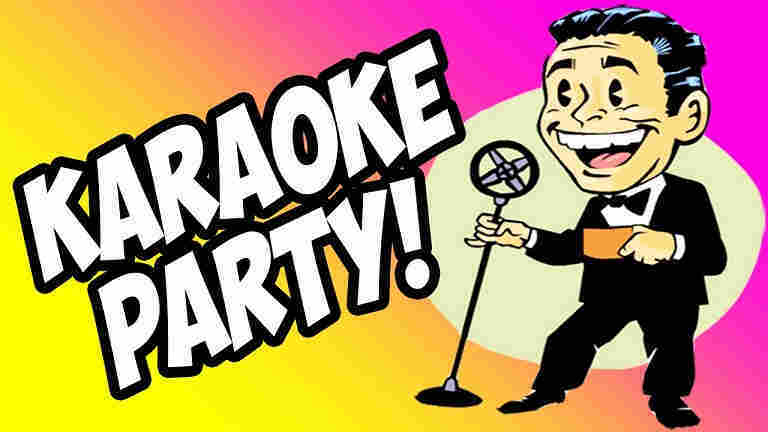 In fact, you will get a far quicker response in the Karaoke Forum. Moreover, you might even help others, and that’s our aim! Finally, we have shown many ways how you can interact with us. Moreover, we are an open and friendly bunch here. So, don’t delay, come and join us today!